At Hitchin Osteopathy we take the security of personal data seriously and are committed to keeping you fully informed of your rights under the General Data Protection Regulation (GDPR). We aim to act transparently at all times and to provide you with accessible information on how we use your personal data. We also think that it is important that we can contact you in order to confirm your appointments with us or to update you on matters related to your medical care.This again constitutes “Legitimate Interest”, but this time it is your legitimate interest. From time to time, we may have to employ consultants to perform tasks that might give them access to your personal data (but not your medical notes). We will ensure that they are fully aware that they must treat that information as confidential, and we will ensure that they sign a non-disclosure agreement. If you have given us consent to use your data for a particular purpose, you can revoke or vary that consent at any time. If you do not want us to use your data or want to vary the consent that you have provided you can write to us at Hitchin Osteopathy, 9 Alexander House, 40a Wilbury Way, Hitchin, Herts SG4 0AP, or email us at info@hitchinosteopathy.co.uk. You have the right to opt out of us processing your personal data for marketing purposes by contacting us at info@hitchinosteopathy.co.uk. Some emails that we send you have no tracking in at all, e.g. service emails with invoices attached. Other emails include tracking so that we can tell how much traffic those emails send to our site, but we do not know who has clicked so the data is anonymous, e.g. our monthly newsletter. For some emails we can track, at an individual level, whether the user has opened and clicked on links in the email. We use the latter information at a personal level, to understand open and click rates on our emails to try to improve them. If you want to be sure that none of your email activity is tracked, then you can opt out of Hitchin Osteopathy’s emails which you can do by emailing “UNSUBSCRIBE” to info@hitchinosteopathy.co.uk. On many of the pages of our website you will see ‘social buttons’. These enable users to share or bookmark the web pages. There are buttons for: Twitter, Facebook, LinkedIn, Instagram, Google+ and YouTube. In order to implement these buttons and connect them to the relevant social networks and external sites, there are scripts from domains outside of [insert company name]. You should be aware that these sites may collect information about what you are doing on the internet, including on Hitchin Osteopathy’s website. So, if you click on any of these buttons, these sites will be registering that action and may use that information. 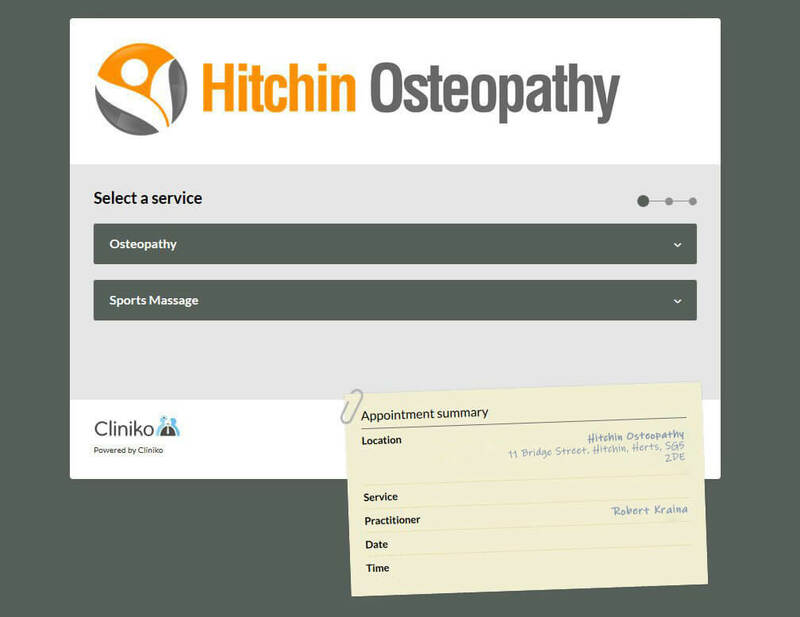 In some cases, these sites will be registering the fact that you are visiting Hitchin Osteopathy and the specific pages you are on, even if you don’t click on the button while you are logged into their sites. You should check the respective privacy policies of each of these sites to see exactly how they use your information and to find out how to opt out, or delete, such information if you wish. The GDPR gives you the right to access information held about you by us. Please write to us or contact us by email if you wish to request confirmation of what personal information we hold relating to you. You can write to us at Hitchin Osteopathy, 9 Alexander House, 40a Wilbury Way, Hitchin, Herts SG4 0AP, or email us at info@hitchinosteopathy.co.uk to charge for requesting that we provide you with details of the personal data that we hold. We will provide this information within one month of you requesting the data. You have the right to change the permissions that you have given us in relation to how we may use your data. You also have the right to request that we cease using your data or that we delete all personal data records that we hold relating to you. You can exercise these rights at any time by writing to us at Hitchin Osteopathy, 9 Alexander House, 40a Wilbury Way, Hitchin, Herts SG4 0AP, or email us at info@hitchinosteopathy.co.uk.